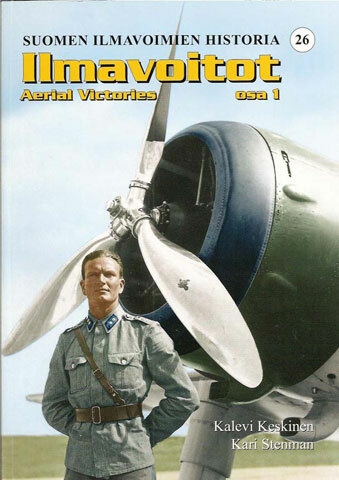 Even I must admit that this newest offering in the Finnish Air Force History series may have a very limited audience. But, for those who do get this first of a two part monograph, it will be a unique opportunity to become acquainted with nearly every fighter pilot / aerial gunner who flew for the FAF during the Winter and Continuation Wars (It appears that only pilots are included, as I did not see a reference to a gunner in a multi-man aircraft.). The purpose of this two-part edition, according to the authors, is to set the record straight, as best as possible, with regard to claimed aerial combat victories. As is the case with any air force in combat, accuracy of combat claims is always open to question. The primary problem is overly inflated numbers. In Finland, a fairly strict system requiring confirmation of a claim by a neutral witness was in place during the Winter War. But the system began to breakdown during the Continuation War, with the resulting “steeply ascending amount of unconfirmed victories”. The authors set themselves the task of confirming the accuracy of the claims as best as possible. With the opening of the Russian archives, the authors were able to confirm many of the claims and whether a claim of a damaged aircraft was actually a destroyed aircraft. This first part covers airmen whose last name began with letter A through M. The number of claims is immaterial; there is Kalervo Anttila with one probable destroyed and Paul Matilainen with one-half confirmed destroyed. In both Finnish and English there is a brief overview of each airman’s service in the FAF. To the extent possible, and it is to a great extent, there is a picture of each airman. There is also a list of each airman’s claims that sets out the date, time, location, unit, the airman’s aircraft, the type of enemy aircraft claimed, the enemy unit and the type of verification of the claim. Finally, the there are a number of pictures of various aircraft flown by those who claimed an aerial victory. There are also eight small profiles. For those who are interested in the Finnish Air Force this monograph will be another addition to their collection. It will also be of interest to those who love the statistics of war. With the continuing verification of claims of all combatants involved in the Second World War, perhaps there will be airman cards someday; similar to baseball cards, but with aerial combat claims instead of runs, hits errors and batting averages.